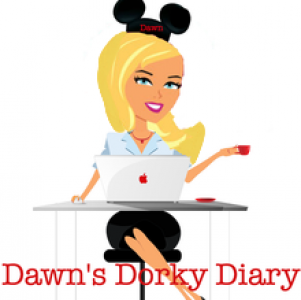 I Cheated…..on Disney with Universal Orlando Resort… and I liked it! Part 1 of 5 – Travel, Family & Fun rolled into one! Guilty as charged! I’m a monster, how dare I cheat on my main mouse Mickey, with Universal Orlando Resort and to my surprise, I kissed a Seuss and I liked it! September 2018, was the crime and I was but a mere accomplice. A big shoutout goes to We Grow Retreat 2018 sponsored by Universal Orlando and Mediavine for this amazing experience. Where do I begin, well at the beginning, duh! I was born in 1972, oooooh, silly me, at the beginning of my trip, got it! I arrived at Loews Sapphire Fall’s Resort via Universal SuperStar Shuttle from Orlando International Airport (MCO) and promptly checked into my room. The lobby, hallways and guest rooms were immaculate, off to a great start. The decor as a whole was stunning and the ginormous windows framed the swimming pool complex like butter! Location, location, location was spot on! You’re just a complimentary Water Taxi or Universal Bus away from most of the action, I said most, because, I hope you bring some of the excitement yourself! If you want your pedometers poppin’ then stretch out your leggies towards CityWalk, Islands of Adventure, Volcano Bay and/or Universal Studios! Anything your heart desires is located within Loews Sapphire Fall’s Resort. If you’re hankering for a nice table service restaurant, bar or quick service establishment, it’s all right at the tip of your taste buds. Shop-a-holics don’t feel left out, there’s a place for you, just off the lobby at~ The Universal Studios Store! When I’m on vacay, I love outdoor activities, they’re a nice respite from an action packed vacation. If it’s your form of relaxation too, make a splash in the 16,000 square foot pool with a sand beach. Or just enjoy chill-axing at the cabanas ($) or get your game-on at the poolside activities. I adored my stay at Loews Sapphire Fall’s Resort at Universal Orlando, the only problem, I wish I had more time to bask in all the amenities. I will definitely return with my entire family, sooner rather than later. Don’t forget to treat yo’self with part two of my five part Universal Orlando Resort series. NEW blog post every week plus fun bonuses in between. Previous Post Happy 73rd Birthday, Mama!